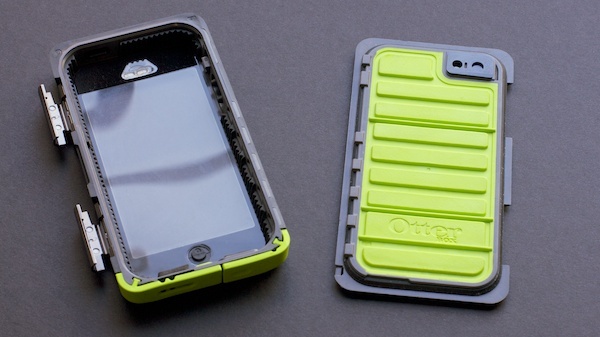 The Armor Series waterproof iPhone 5 case is a rebirth of classic OtterBox protection. Watertight latches, O-ring seals, port covers and mesh coverings allow the Armor Series case to be completely waterproof, tolerating submersions for 30 minutes in up to 6.6 feet of water. Vents made of a non-permeable membrane and protective mesh layer allow sound to move through while keeping harmful elements out. The exterior of the case features advanced materials that protect the device from 10 foot drops. The high-strength reinforced plastic of the Armor Series case can withstand up to two tons of crushing force, while the built-in screen protector prevents scratches and damage to the glass display. 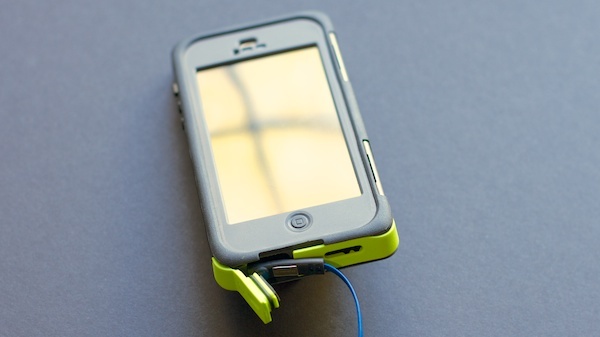 Get protection that truly inspires confidence with the Armor Series waterproof iPhone 5 case by OtterBox. The Armor Series waterproof iPhone 5 case has been tested to be underwater at 6.6 feet for 30 minutes, withstand a 10 foot drop, allow zero entry of dust or debris and sustain 2 tons of crushing force. The Armor Series is not waterproof when the charging port or headphone jack are in use. Packaging was nice looking while pointing out all of it's features. I like the case, Think it protects the phone very well. My phone seems to be protected on all sides. In this case the keypad is not as sensitive so you do have to push down harder on the keys to write but it works well when your just swiping from page to page as your browsing, the mute button is kind of hard to push back and forth. It's a great case for the outdoorsy people and people that allow their kids to use their phone for games. Cause you don't have to worry about the phone dropping and braking it. OtterBox has hit the nail on the head once again with their armor series of cases. This case was well constructed and does protect from all the elements as promised. If your worried about damaging you iPhone and want some peace of mind this is the case for you. This case also only takes a few seconds to put on or take off. Which makes having one laying around for those Snowboarding or Beach trips great for protecting your iPhone from water and sand. The only thing I would improve would be the cosmetic quality control and there tolerances i.e. gapping around the case when closed.